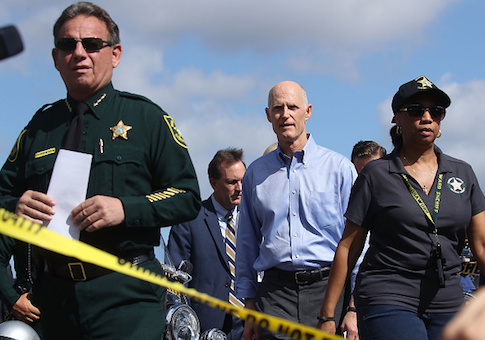 The Federal Bureau of Investigation has informed Florida's Marjory Stoneman Douglas High School Public Safety Commission of internal changes it has made following the deadly school shooting earlier this year. The changes were relayed in a letter, dated Nov. 9 and sent to the commission, the Florida Sun-Sentinel reported. Writing on behalf of the FBI, Assistant Director Douglas Lindquist explained the bureau had undertaken a "special review" of some of its internal processes and resource allocation. Centrally, Lindquist described how the FBI converted its Public Access Line (PAL) "from a call-intake center to an Operations Center." Now, PAL has the capacity "to analyze and disseminate information in a timely manner to the field." Before the Parkland shooting, PAL received two separate warnings that accused gunman Nikolas Cruz, then a student at Stoneman Douglas, was a risk for carrying out such an attack. In September 2017, PAL received a tip that a YouTube user under the name "nikolas cruz" had commented on a video, aspiring to "be a professional school shooter." The FBI closed the investigation without resolution two weeks later, never asking Google or federal prosecutors for information on the account. In January 2018, PAL received another tip from a friend of Cruz's family who worried Cruz posed a threat. She described how Cruz posted odd content on social media, harmed animals, and owned firearms. The FBI assigned the tip "no lead value" and the matter was not pursued further. The revised PAL will take more seriously online threatening language, use speech-to-text technology to analyze such threats, and hire 62 more people to evaluate and pursue threats, according to the letter. The commission expected an FBI representative to testify in person Nov. 16 to further answer questions; however, the commission said the expected representative did not attend the scheduled meeting. The commission will convene again in December before its Jan. 1, 2019 report deadline. Read the FBI's full letter, here. This entry was posted in National Security and tagged FBI, Florida, Schools, Terrorism. Bookmark the permalink.